We are all one - there is no separation between us, only we do not realize it. The same is true with rocks, with trees, with birds, with rivers: you can speak with all of them, and you will see how you can get love from everything. Q: If someone insults me I feel angry and want to hurt them back. If you return a slap with love, with a kiss, he will forget his behavior; he will not sting anybody else. You have to live wisely, if you want to enjoy this life, this is a beautiful world that is here for you to enjoy. There are so many beautiful things: there are mountains, there are rivers, there are birds, there are animals. What more do you want? There are clouds, sun, moon and stars. Why don't you open your eyes and enjoy this manifestation, which your own creation? Everybody is related to you. So how can anger arise? Sometimes it happens while eating, especially if the food is very tasty, that the teeth hurt the tongue. You do not go to the dentist to pull your teeth out because they hurt your tongue; there is nothing wrong with them. The tongue knows, "We are friends, I am enjoying taste and they are munching. If they hurt me I shall not pull them out." Like this, coordinate life with everyone, then you will really know how to live in love. Once many years ago a planter invited me to visit his coffee plantation. He took me there on a Sunday; it was my day off from work. He said, "We'll go on Saturday night in the jeep. My cook does not sleep in the bungalow which is at the top of the hill. The coffee is grown on the slopes and the area for drying it is at the bottom. When I go there I stay in the bungalow, which is well equipped, and the cook stays down the hill with his family, in the area for drying the coffee. So as soon as I wake up I will go down the hill to get him." In the morning he drove off before I was up. I awoke to a very beautiful sight. The plantation was all around me, covered in orange trees. The trees were there just for their shade, to protect the coffee plants from the direct sun. He was not interested in selling the oranges so all the fruits that dropped in the fields were ploughed back in as manure. I came out of the bungalow and saw bushes and bushes full of oranges, very big loose jacket mandarin fruits. I felt so happy to see them, so many bushes laden down with oranges touching the ground, so many orange fruits. I saw all these oranges in the morning sun, and I felt such joy. As this feeling arose, standing in front of a beautiful bush I addressed it and spoke to the bush out loud: "Good morning, Mother, how do you do? You are very lucky, you have so many children." It did not occur to me to hurt her, not even to pluck one of her fruits for myself. It was enough just to see the beauty of the oranges and this woman so proud of her children. I liked her, I loved her, and I kissed that tree itself. I was so very happy! The thought of picking the oranges did not even come into my mind. In that same moment she also spoke to me: "I am very happy with you so I offer you these fruits," and instantly twelve big oranges fell from the tree. I am not making this up. This really happened as I am describing it. I have seen many things happen like this. We are all one - there is no separation between us, only we do not realize it. The same is true with rocks, with trees, with birds, with rivers: you can speak with all of them, and you will see how you can get love from everything. So I spoke with this tree, and she responded. She said, "I am also happy. I want to give you my oranges, please take them." I took one and again I kissed her. I could understand how she was feeling; I could understand her language. What was the trick? It was only love. See everything with eyes full of love. If you look at anybody with that love I do not think that they can be angry with you. Sometimes anger may visit you. When the hotel is full, no rooms, no accommodation available, no one will go there. In the same way, if your house is full of love all these other tourists as anger, lust and greed will see that the house is already full and they will not come inside; they will go away and look for some other lodging house. If the doors are open to greed, lust and anger they will enter immediately; they will not wait for the check-in time. If you love people who will not return love to you? Why are you here for satsang? Source: Reprinted with the kind permission of the Avadhuta Foundation. 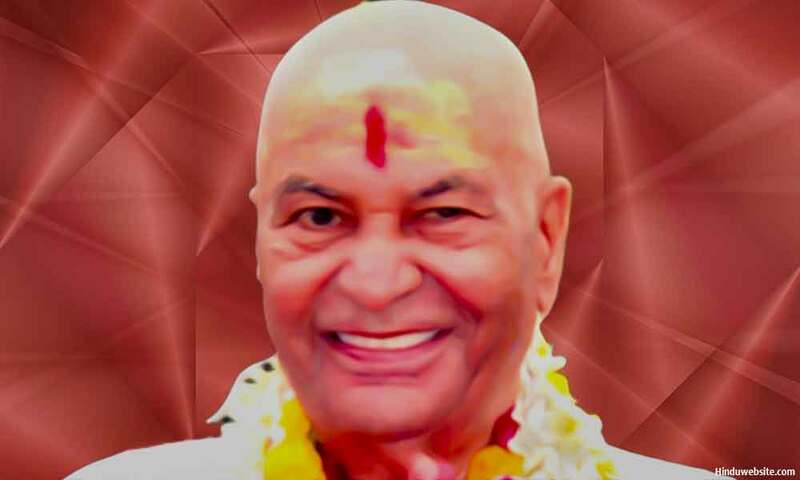 The Avadhuta Foundation was established in 1993 to further the teachings of Sri H.W.L. Poonja, affectionately referred to as Papaji, and to make available the archives of Papaji’s talks in India. You may visit their website from here.